Will you master the Cannon? 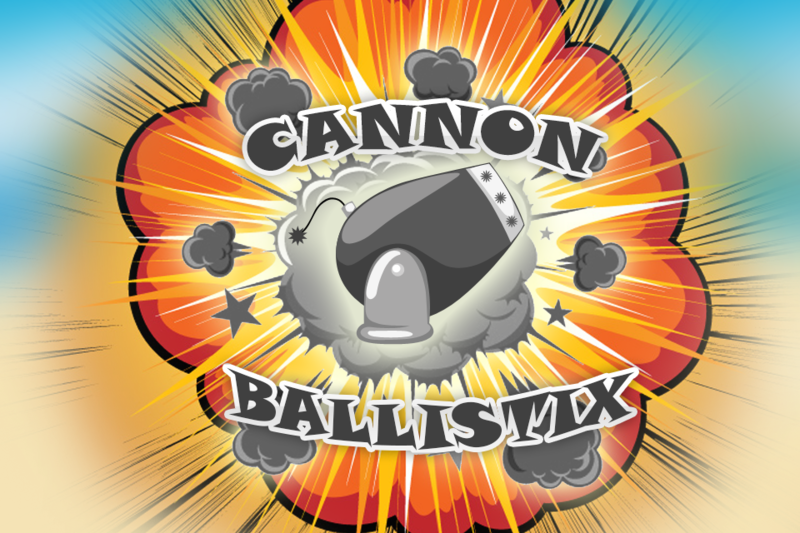 Welcome to Cannon Ballistix, the next best physics based game to hit the App Store. Whether you’re relaxing, waiting, bored OR just in need of something fun to pass the time, then this is definitely the game for you. It’s very easy to learn, challenging to master BUT even harder to put down. The objective of the game is pretty straight forward, ‘fire the cannonball through the porthole’. THAT’S IT!!! … How hard could it be?! Adjust the cannon Angle, set the cannon Power and FIRE AWAY!!! It sounds simple enough, but with obstacles like WIND, WALLS, REBOUND PADS and MOVING PORTHOLES, this game is definitely a lot more challenging than you may think. -A MOVING PORTHOLE means only one thing, timing of the shot is a must. Cannon Ballistix begins with some pretty basic levels, here you will learn the ins and outs of the game, with a little added help from some tutorial popup notes along the way. These notes will explain everything from the Angle Button to the Score to Winning Bonus Balls. As the game progresses the levels and episodes become more challenging, to the extent where you will need to fire a cannonball through a wall, onto a rebound pad and out through a moving porthole, all whilst having to allow for the wind direction and speed. So in other words be prepared for some brain strain. With the variety of obstacles, a unique scoring system, bonus balls, loveable graphics, entertaining sound effects, catchy music and much more, you’ll understand exactly why Cannon Ballistix is a must have gaming app. With over 100+ levels still to come and a Multiplayer option, you’d be crazy not to jump on board now and begin the path to becoming a Cannon Ballistix Master. Cannon Ballistix is FREE and available NOW on the iTunes App Store, so get DOWNLOADING.